When we talk of our homes, we usually brag about the new LED television set we have current purchased or a new addition to our existing property; but once in a while, there are people who tells us that they renovated their bathrooms and we can’t help but ask about the new tub they have or the accent wall they used or the tile colors they have chosen. This list that we will be showcasing is one that will intrigue you with the small things that we will be noticing inside the lovely spaces. 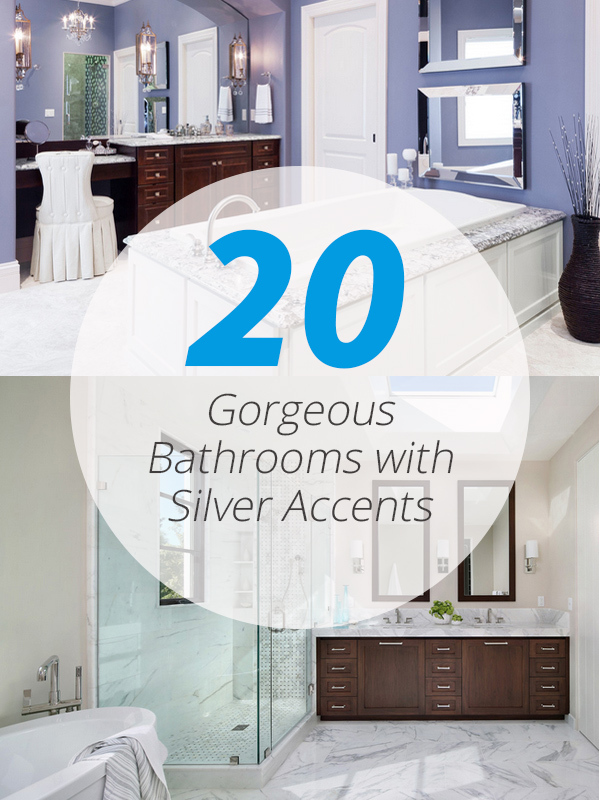 The 20 Gorgeous Bathrooms with Silver Accents is a short list compared to the many bathrooms we can check online and compare with our existing bathroom – go check out the list and be inspired! 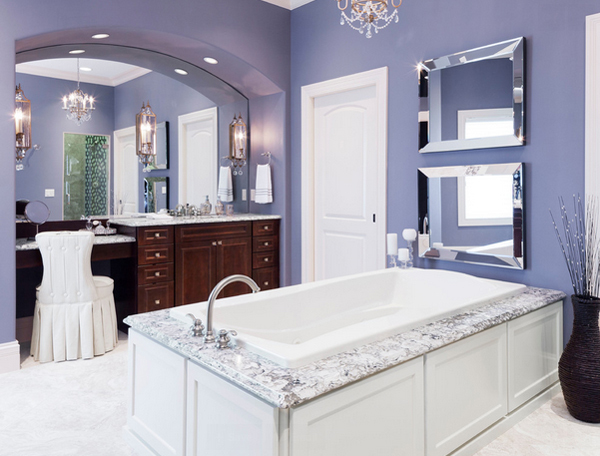 The colors and textures used in this bathroom is quite fun and interesting; the colors used here are pretty awesome too! When I saw this bathroom, I got confused what the topic was, but this is surely one great bathroom to have! 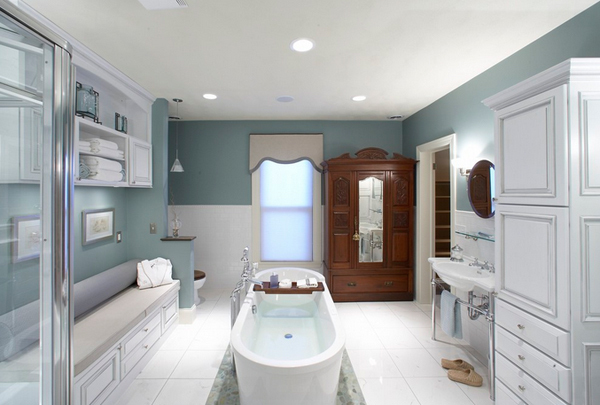 I like the color used to pair with all the white and browns in this bathroom. 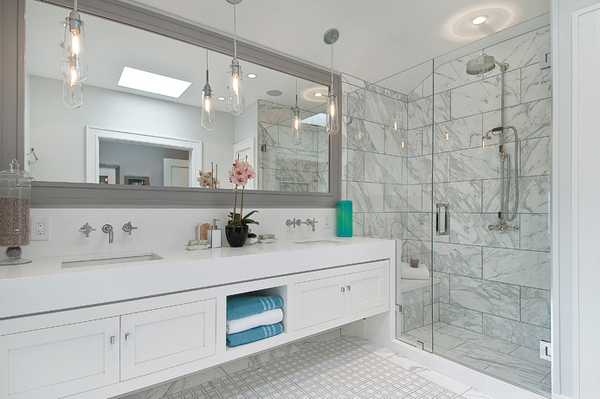 Silver decor is displayed in this all marble bathroom! The cute pendant lighting in this space sure is cute – it looks fascinating since it is parallel with the horizontal mirror! 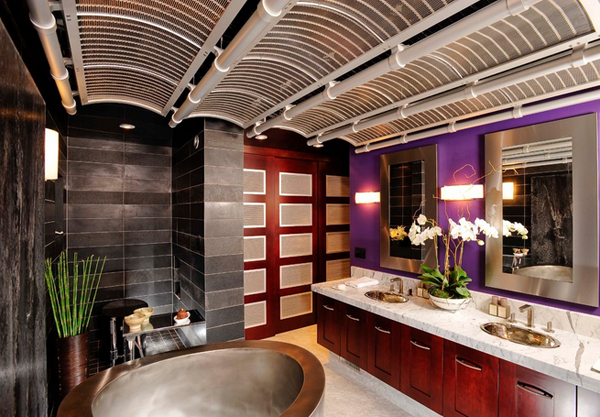 If you do not find this bathroom breath-taking, I don’t know what will. 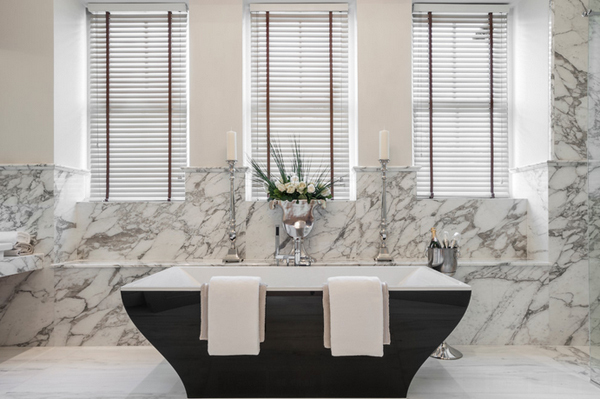 The large bathing area in this large bathroom sure is fancy; the vanity area is quite a stunning sight too! 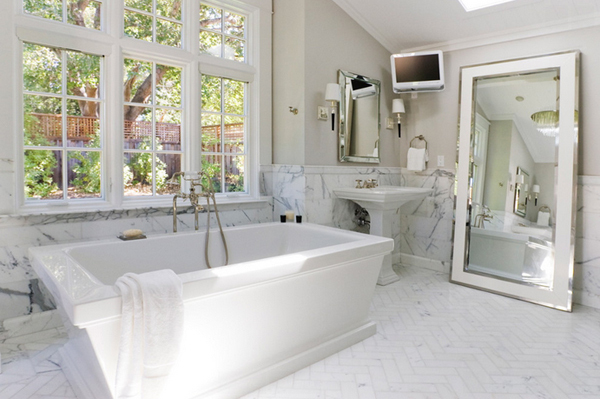 I sure love the silver-ish tub in this bathroom! 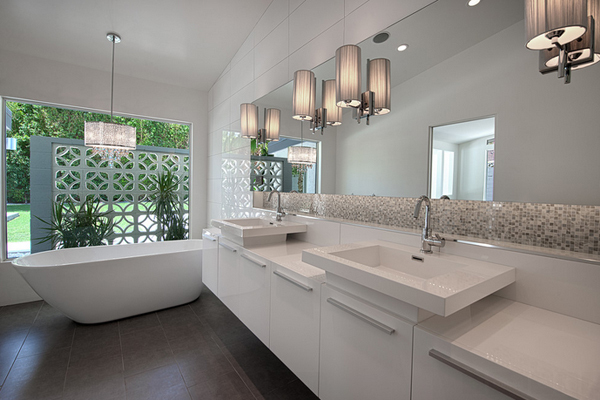 Great tile work; lovely work done on the entire space, plus the vanity is just beautiful! 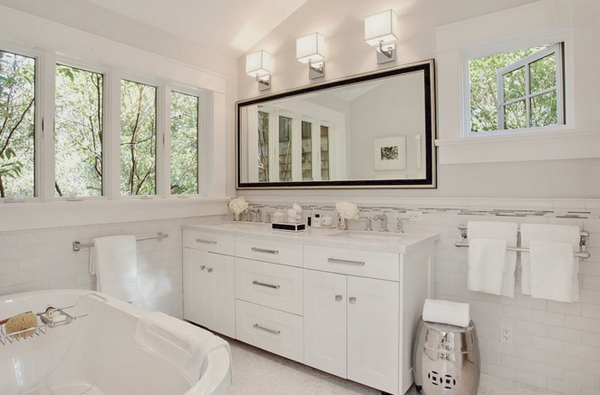 One large mirror sure created a larger view and vibe to this bathroom! Notice the silver animal head on the far end of the wall? Pretty cool, right? Plus the color of this space is just beautiful. 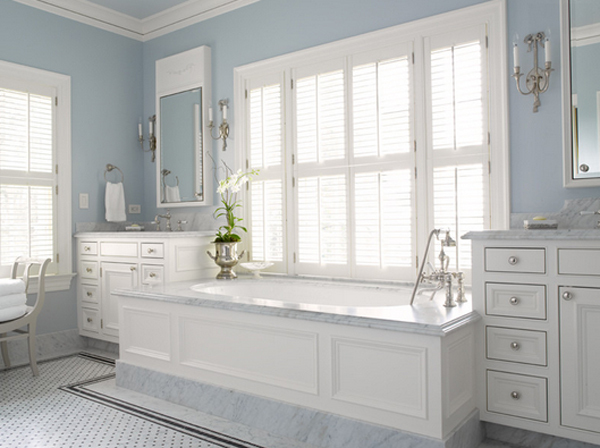 Silver tidbits here and there – this bathroom is really simple but classy. 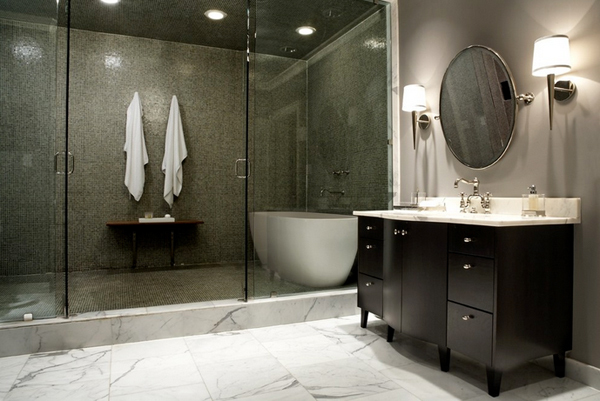 Look at the accent chair beside the vanity area – cute and a bit Asian. Sconces with a hint of silver in them, real simple, clean and pretty. 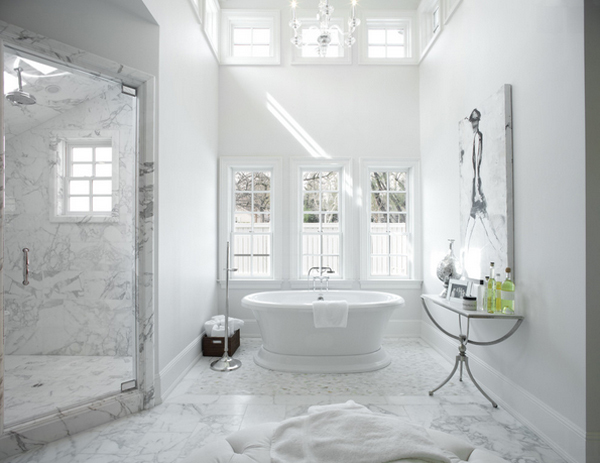 Nice looking tub and bathroom in general – note the seemly lighting fixtures and marble flooring. I would love to have this space in my house because I actually have a small area that I can actually turn into this one! 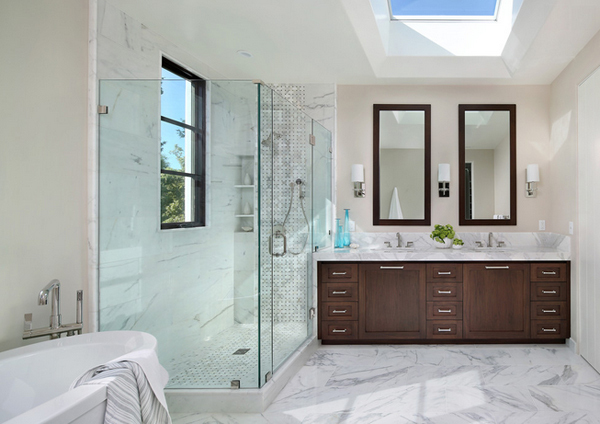 One heavenly bathroom coming right up! 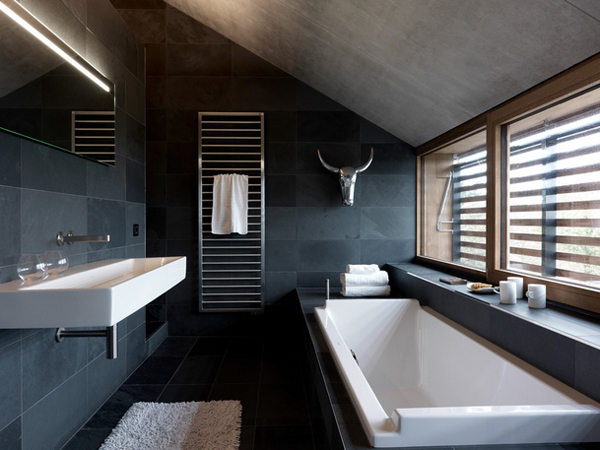 Just take my money and go get me this lovely bathroom from H3K Design! 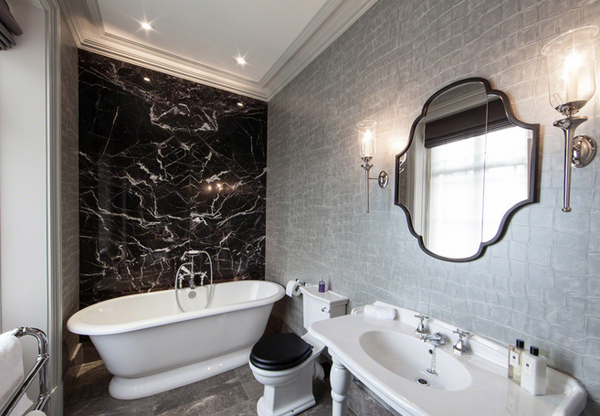 The drop-dead black marble as the accent wall is just stunning! Can’t take my eyes off it; it sure is the best asset in this bathroom! Another slightly silver tub! Please give one of these! Whether you are here to check on new inspiration you can use for that next renovation or addition that you have been planning for a while now, I am sure that you will find something that will definitely interest you and ask if we have any more spaces which you can use as inspiration. There are more things you can see here in Home Design Lover, just search away!